At GrabAGun, we know pride is a big part of owning a firearm. Whether it is pride in your country, pride in the brand of your gun, pride in your hunting skills, or something else entirely, chances are, you have something you are proud of. Well, at GrabAGun, we are proud of a lot of things too, and we have the shirt collection to prove it. Peruse our selection today to find a shirt to help you showcase your pride properly. If it is a favorite brand you want to boast, we have options from Browning, Woolrich, Remington, Smith and Wesson, and more. We also have more than just tee shirts to add to your wardrobe or the wardrobe of the gun enthusiast in your life. Check out our pullovers, button downs, polos, performance shirts, and more. You also can choose between something with a large and loud decal or print to show your pride, or decide on something a little more understated if you are the subtler type. Remind the people around you that owning a gun is a privilege and a responsibility by wearing your firearm gear with dignity and pride. Shirts from GrabAGun make a great gift for yourself, your family member, or your friend who is a gun owner. Our collection has something for the enthusiast, the collector, the novice, the instructor, and the casual observer alike. 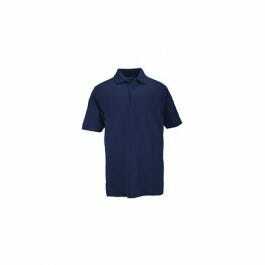 Whether it’s short sleeves, tank tops, or long sleeves you are looking for, you will find something to do the job here.